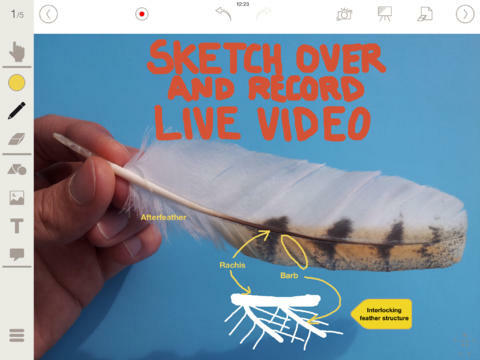 Air Sketch: a premium app that turns your iPad into a wireless whiteboard. 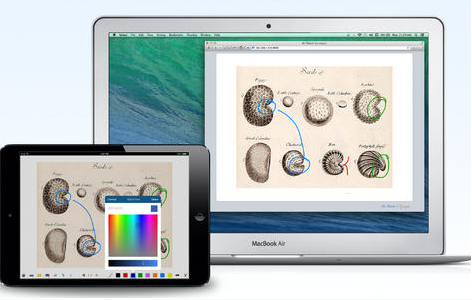 You can project PDF documents, use the drawing tools to add information, and email your annotated slides as PDF. The app even works without a WiFi connection. 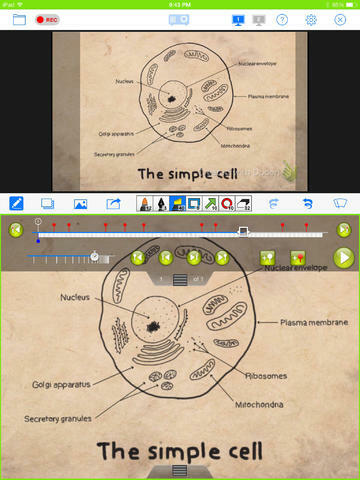 Educreations Interactive Whiteboard: an interactive whiteboard tool that lets teachers create instructional videos and annotate/animate/narrate any type of content. You can store your lessons securely in the cloud and control who can see what. Doceri Interactive Whiteboard: use this app to create lessons, insert images, record a screencast video, and share your work with others. You can control your lesson live with AirPlay or through your PC. Stage: a teaching and demonstration tool for educators. 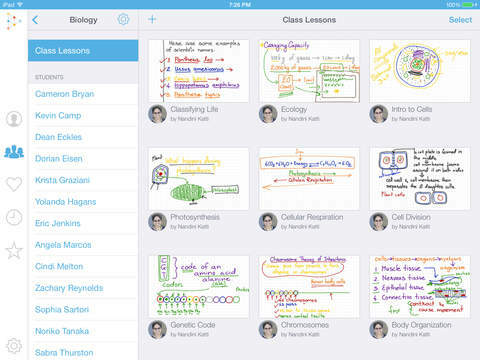 Lets you share your ideas, take notes, add labels, and sketch over video. You can record audio too. You can present wirelessly using AirPlay. IPEVO Whiteboard: lets you draw and add text onto iPad’s real-time camera image. With a IPEVO camera, you can wirelessly stream to iPad and annotate the real-time image as well. You get a range of tools to choose from in addition to Evernote support. 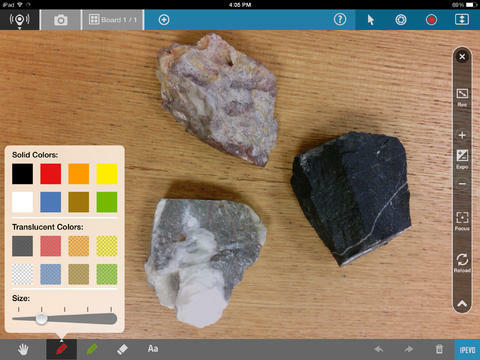 Have you found better interactive whiteboards for iPad? 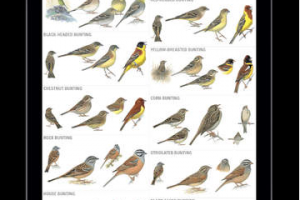 Please share them here.